We love watching birds eat things that look too big for them; never ceases to amaze. This feast went on for a good 20 minutes while the flycatcher relentlessly flung this large moth around. 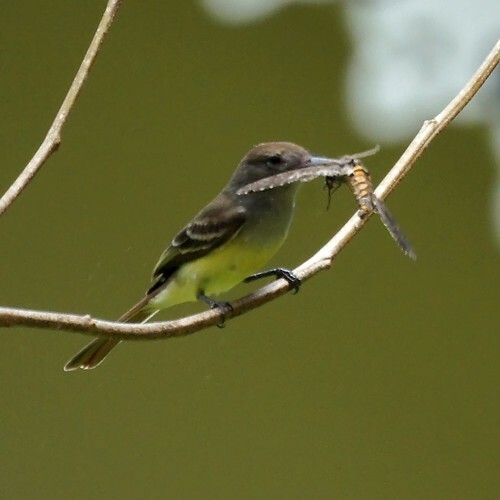 Eventually each wing fell off and the flycatcher got it into a proper angle to swallow it whole. While we're sorry for the moth, we thoroughly enjoyed the show.